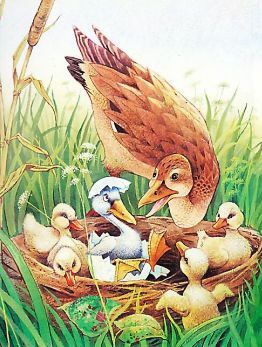 Throughout his career as a children's book illustrator, John has retold and illustrated many traditional fairy tales by well-known classic fairytale authors such as Hans Christian Andersen, the Brothers Grimm and Charles Perrault, and other traditional tales by unknown authors. This page shows just a few examples. Each book has 24 pages with full colour and black and white illustrations. 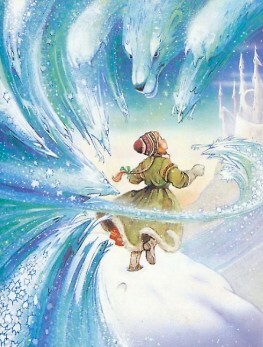 All the books contain two different stories except for The Snow Queen. If you are a publisher interested in foreign publication rights, please see details on our dedicated foreign rights web site. Charles Perrault was a French author who is generally considered to be responsible the popularity of fairy tales. In fact, some of his versions of older, traditional stories, may have influenced the Brothers Grimm. Perrault's versions of traditional folk tales were often much more 'gruesome' than the versions we are familiar with today, and carried a strong moral message. Find out more about Charles Perrault on Wikipedia [opens in new window]. 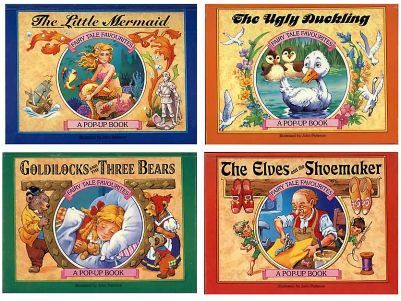 The first series of four books was so popular that John was asked to do more and eventually there were three series of four books, including many all-time favourite fairy tales. Perhaps you remember some of these books. 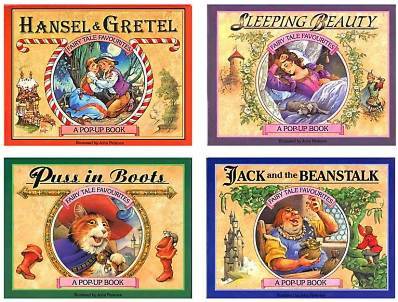 This series of fairytale pop-up books includes titles which were not included in the other series. 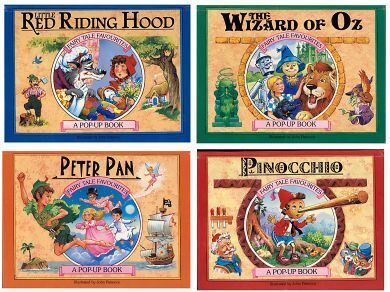 These are surely some of the best-known and most popular fairy tale stories ever. As you probably know, they were all made into animated films by Walt Disney. In fact, Snow White and the Seven Dwarfs was the first ever animated feature film, made by Walt Disney Productions, way back in 1937! 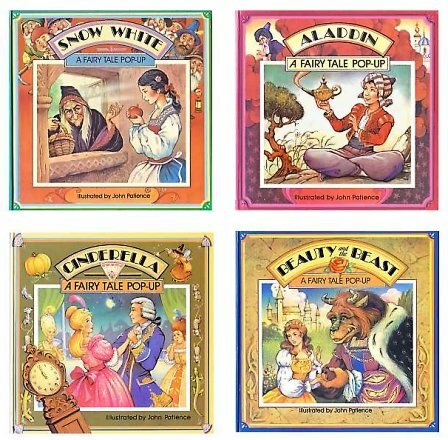 This series includes John's retelling of stories by Jacob and Wilhelm Grimm (better known as the Brothers Grimm), Charles Perrault and Carlo Collodi. There are 13 titles in the series. 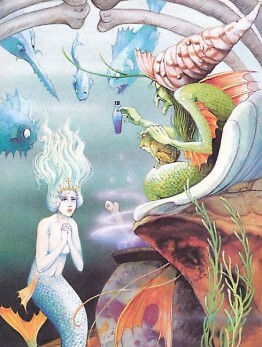 You may also like to look at John's original 'fairy tales'.